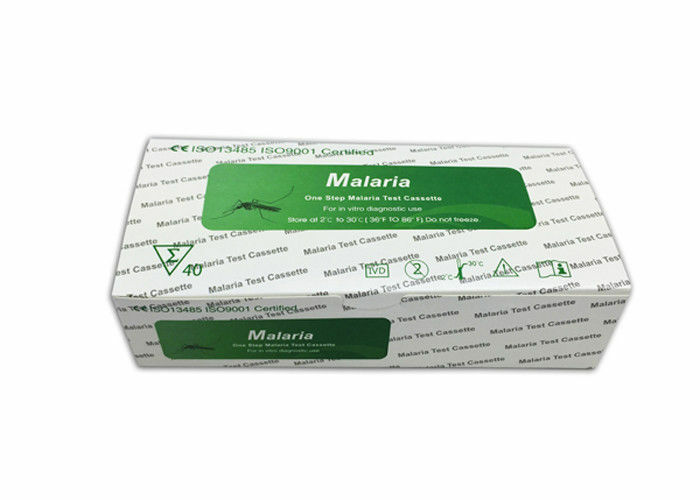 NTENDED USE: Malaria P.f & P.v Ab test is an immunochromatographic (rapid) test for the qualitative detection of antigen of all specific to Plasmodium falciparum and Plasmodium vivax simultaneously in human serum or plasma or whole blood. The Malaria P.f./P.v. Rapid Test Device (Whole Blood) is a qualitative, membrane based immunoassay for the detection of P.f and P.v antigens in whole blood. The membrane is pre-coated with anti-HRP-II antibodies and anti-pLDH antibodies. During testing, the whole blood specimen reacts with the dye conjugate, which has been pre -coated on the test strip. The mixture then migrates upward on the membrane by capillary action, reacts with anti-Histidine-Rich Protein II (HRP-II) antibodies on the membrane on P.f Test Line region and with anti-pLDH antibodies on the membrane on P.v. Line region. If the specimen contains HRP-II or Plasmodium-specific P.vivaLDH or both, a colored line will appear in P.f line region or P.v. line region or two colored lines will appear in P.f line region and P.v. line region. The absence of the colored lines in P.f line region or P.v. line region indicates that the specimen does not contain HRP-II and/or Plasmodium- specific P.vivaLDH. To serve as a procedure control, a colored line will always appear in the control line region indicating that proper volume of specimen has been added and membrane wicking has occurred. The control line and Malaria P.f line (T1) are visible in the result window. The test is positive for Malaria P.f. The control line and Malaria P.v line (T2) are visible in the result window. The test is positive for Malaria P.v. The control line, Malaria P.f (T1) and Malaria P.v (T2) lines are visible in the result window. The test is positive for Malaria P.f and Malaria P.v. The control line is the only line visible in the result window. No Malaria P.f or Malaria P.v has been detected. The Malaria P.f./ P.v. 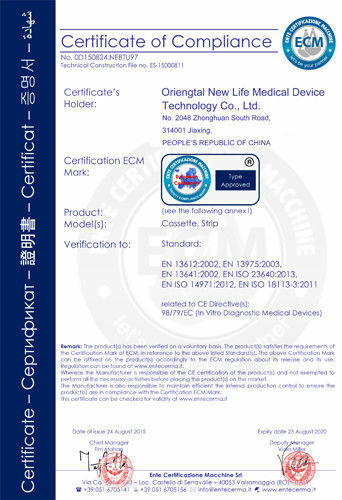 Rapid Test Device (Whole Blood) has been tested with microscopy on clinical samples. The results show that the sensitivity of the Malaria P.f./ P.v. Rapid Test Device (Whole Blood) is >98% when compared to results obtained with microscopy. The Malaria P.f./ P.v. Rapid Test Device (Whole Blood) uses antibodies that are highly specific to Malaria P.f.-specific and P.vivaxLDH antigens in whole blood. The results show that the specificity of the Malaria P.f./ P.v. 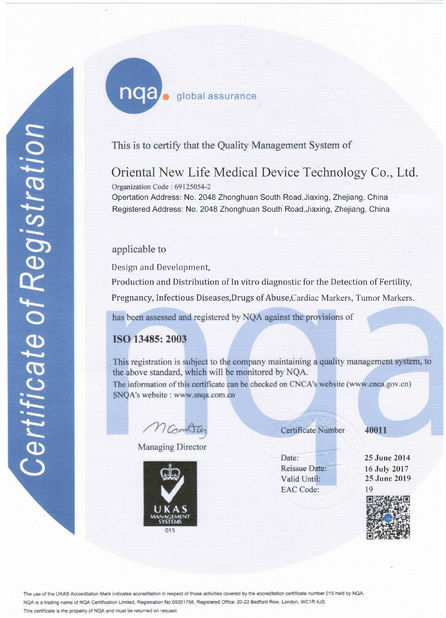 Rapid Test Device (Whole Blood) is over 99.9%, when compared to results obtained with microscopy. Rapid Test P. v. P. f.
Comment: Blood Samples infected by Plasmodium falciparum (n=80).Plasmodium vivax (n=50) were included, as well as 451 malaria negative samples to be confirmed with microscopy.